Input text: a matisse cow is a foot to the right of the alien. it is facing the alien. the small barn is 40 feet behind the cow. 5 small trees are in front of the barn. the ground is shiny. 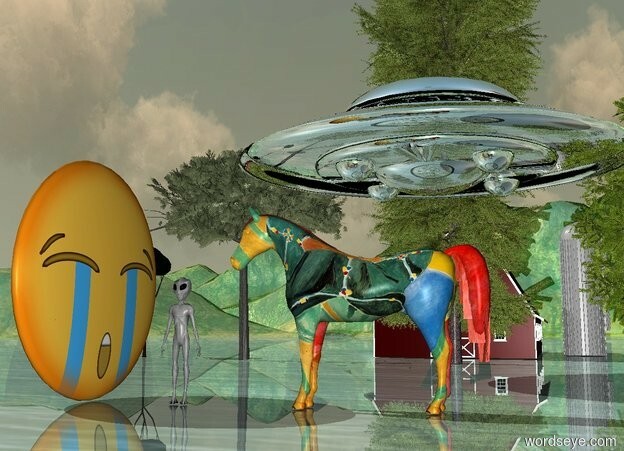 a huge emoji is 2 feet to the left of the alien. it is facing the alien. 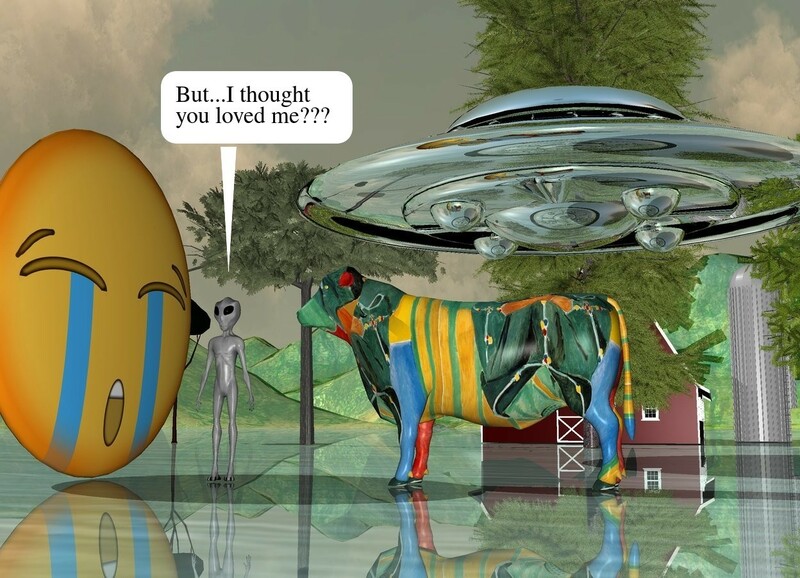 a silver ufo is 3 feet above and 5 feet behind the cow. Is this guy a philanderer or what?